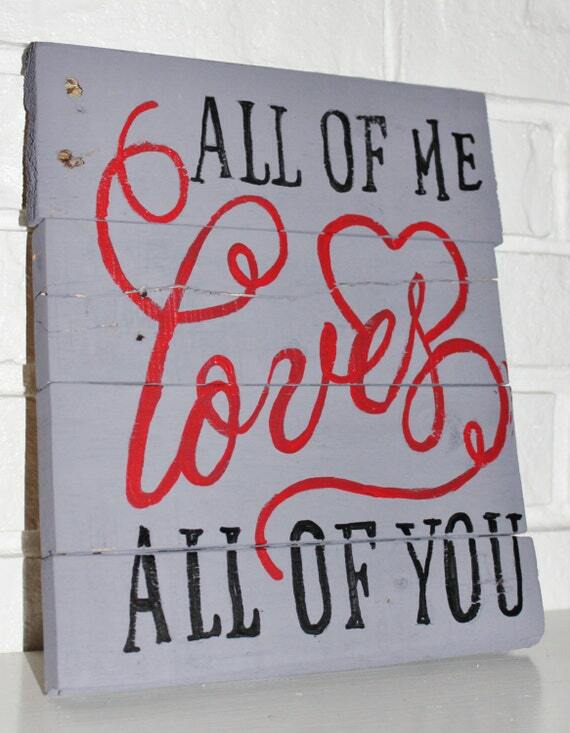 Show just how much you love them with this rustic romantic sign on repurposed wood. Hand made, and hand painted. The colors can be customized to fit your home. This makes a fantastic Wedding, Anniversary, Just cause, Bridal Shower gift too!